$15.00 lb approx. 4-6 lbs pkg. 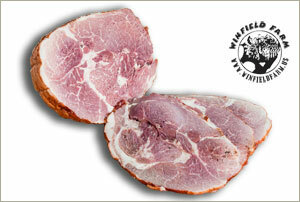 Mangalitsa hams are a ruby-red color, with a great deal of marbling.